ALMA TEAS and HERBAL INFUSIONS, unique blends developed by our own formulas and packaged in biodegradable pyramids. Excellence, quality, elegance and organic, are unique features that are transmitted through the intensity, taste and aroma. More than 40 blends in teas and herbal infusions, with different formats according to the needs of each client. A tradition joins innovation: A pyramid-shaped silk that is made as a whole with 100% biodegradable and natural, GMO free materials. A pyramid ensures accurate weight, the correct space so leaves can expand and get as a result, a correct infusion of their components. Over 10 million pyramids are manufactured every year, committed to respecting the environment and sustainable culture. Teas and herbal infusions that help care for the body, soul and spirit of each of us. 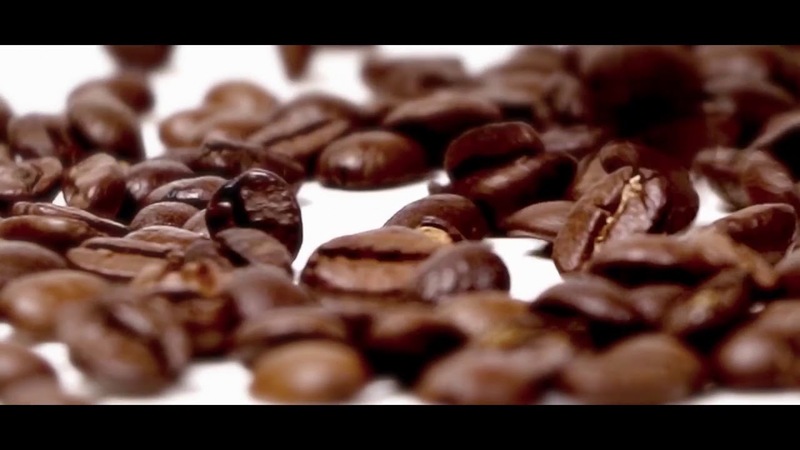 Discover the essence of the coffee. Essences that reach you through sensorial experiences and take you to unique places. All our coffees of origin (Colombia, Brazil and Ethiopia) are 100% Arabica. It is naturally, traditionally roasted in our workshop in Sant Fost- Barceona. The coffee also has certified traceability, as Coffee Center’s quality team controls the process that goes from plantation through to the reception in our roasting workshop. Green coffee beans from limited harvests come in from Africa, South America and Asia to be naturally roasted in our roasting workshop in Barcelona - Catalunya. Grains that have been selected for their uniqueness and for their physical and climatic location, that require special care and different weather conditions. Highlighting the intrinsic characteristics of each origin is the result of the work of our artisanal roaster. We respect nature, supporting social action and ensuring traceability with certificates. Quality, aroma and unbeatable flavour that arise from the combination of coffee-making tradition and the most innovative techniques. Create with Fincafe. Design with your essence. Prepare true to your style. True to you. True to a unique, personal cup of coffee. MICROBATCHES: limited coffee production, that covers a specific area, inside the plantation. Its geo-localised location is certified, along with records of atmospheric and climatic measurements. Unique, singular harvests that do not exceed 2 tonnes of green coffee beans in all. SPECIAL COFFEES: from selected plantations, whose coffee grains meet the organoleptic characteristics of the place of origin. With certified physical and climatic parameters and location. ARTISAN: blends made with coffee originating from Africa, Central and South America. Coffee beans selected using parameters that ensure a top quality cup of coffee. Vitae Kombucha is a delicious millenary drink based on green tea and volcanic origin mineral water, sweetened and fermented by a symbiotic colony of yeasts and bacteria (SCOBY - Symbiotic Culture Of Bacteries and Yeast). Under a traditional and artisan method, Vitae Kombucha is made with high quality natural ingredients. Its flavors and aromas are achieved through maceration in a double fermentation. In this process and after 10 days a natural carbonization of the product is obtained. The final drink is presented in glass bottle and lasts 12 month. It is important to remark that is an unpasteurized drink, without additives or preservatives, and no added carbon dioxide, flavors or extract. Alma Home, aimed to retail and final consumers, which comes in boxes with 15 pyramid tea bags, using material 100%biodegradable. The Alma family of products is completed with more than 56 flavours, as well as presentations for luxury hotels, little hotels, offices, catering and Premium or Gourmet corners. More than 50 flavors developed with our own blends, developed with selected organic raw material. This format is special for hotels, cafes and restaurants looking for an elegant way to offer customers infusions and teas, ensuring all the properties to final consumption. Blends pyramids presented in 100% biodegradable heat-sealed and packed in individual envelopes.. Presentation: Each box contains 20 individually wrapped pyramids. Based on medicinal plants, the 10 formulas have been endorsed by professionals and specialists in herbal medicine. Leaves, seeds, flowers, bark, fruit and roots, selected and carefully mixed to provide their intrinsic properties with a unique taste and aroma. The ingredients of each formula have been combined to yield properties that complement your health, according to the indications of the final monographs published by the European Medicines Agency (EMA). * Quality of raw material with certificated source of origin. * Compostable: Packed in individually 100% compostable and GMO FREE tea bags, and with heat sealed ultrasonic system. Silk, thread, ink and paper are 100% naturally disintegrated, within 1 month. * Manufactured in IFS certificated factory facilities. Company certified withISO 9001 and ISO 14001. Format: 20 bags of 2grs each in a tin can. Both the sweet clover and grapevines are medicinal plants that help to calm symptoms of discomfort and heaviness in the legs related to circulation in the veins. Ingredients: melilot flowering summit, ginkgo leaf, hawthorn flower / leaf, vine leaf, walnut leaf and willow bark. Give your life a break! Let the intense flavour and fresh sensation of this herbal tea become part of your free time. Ingredients: plantain leaf, eucalyptus leaf, elderflower, agrimony flower summit, meadowsweet flower plant, thyme leaf and leaf peppermint. Relax and disconnect. Grab a good book, imagine you are in paradise and take a sip of herbal tea. Savor it. Magnificent, isn’t it? From now on nothing can go wrong, so just let yourself go. Ingredients:lemon balm leaf, hawthorn flower/leaf, linden inflorescence, St John's wort flowering summit, cinnamon bark and chamomile flower. The new product we present is the Orange and Mint Vitae Kombucha. Has a vibrant and refreshing flavor that envelops you in a joyful and vital energy. Is a drink rich in living microorganisms, organic acids, vitamins, minerals and low in sugar. It helps your body to regulate digestion, to strengthen the system immunological and improves metabolism in general. Also its antioxidant properties, helps cleanse the body. Ingredients: Organic green tea with Orange, mint, citronella, scoby, cane sugar and mineral water. When the beans from the selected organic agriculture farms in Mexico, Nicaragua and Brazil reach the workshop in Barcelona, they are mixed in keeping with exclusive and well-studied formulas, resulting in inimitable coffee. The beans from each origin are separately roasted in a natural and artisanal manner to ensure that the final product highlights the characteristics they each provide. Coffee with a faintly floral aroma and nuances which give it a particular flavour, a balanced body and a delicate citric acidity, ending with hints of chocolate and a pleasant aftertaste. CONTAINS: 12 Capsulas compatibles with Nespresso®. Trademark of a company not related to Coffee Center. Ingredient: 100% natural coffee from roasted coffee beans.